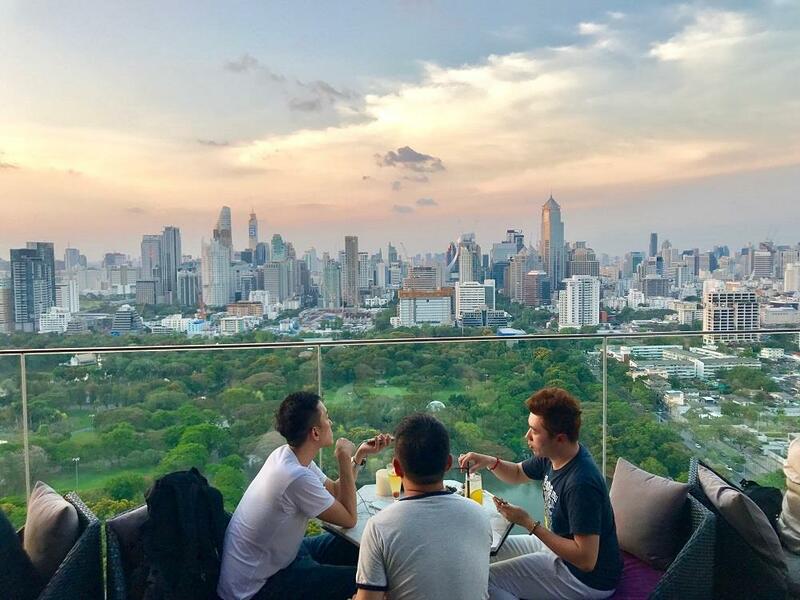 One of the best skyline views in Bangkok at Park Society Rooftop Bar! 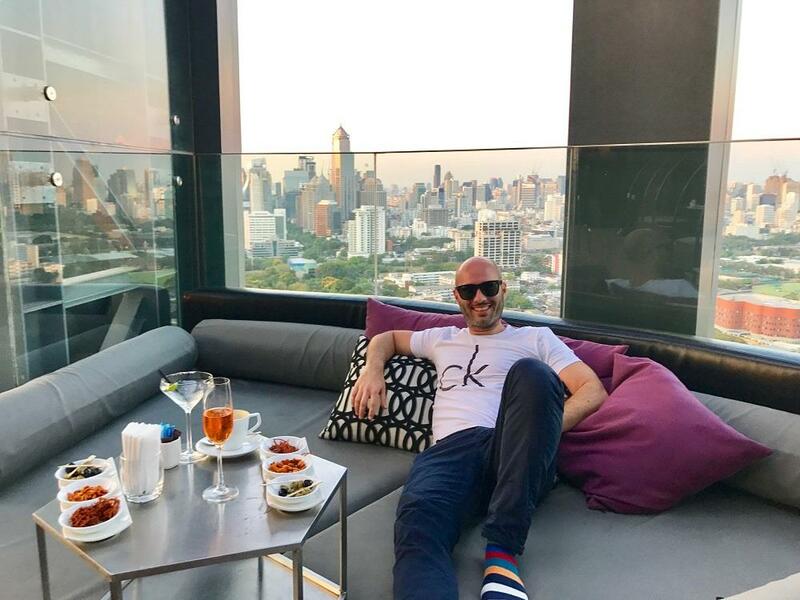 As this rooftop bar was located at our hotel – Sofitel SO Bangkok – we decided to just drop by one of the evenings we spent here. 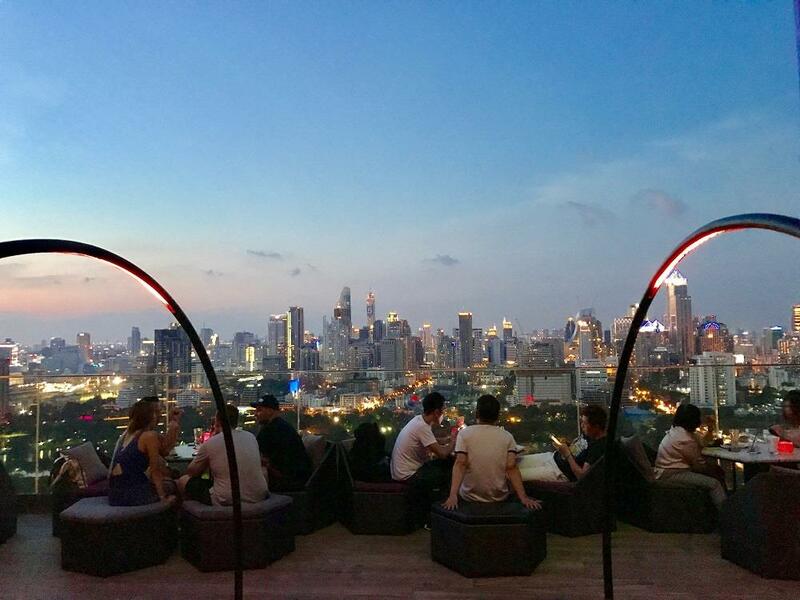 Our favorite time to visit rooftop bars is around 6:00 PM, because then you’ll get both daylight, sunset and darkness. 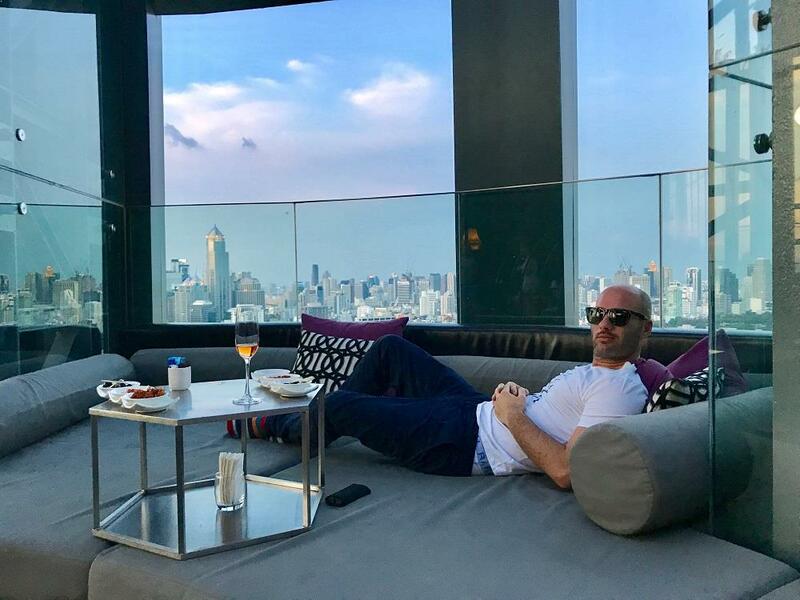 With this in mind, we headed up to the 29th floor just after 6:00 PM and got two great seats in a big lounge sofa overlooking the terrace and city skyline. 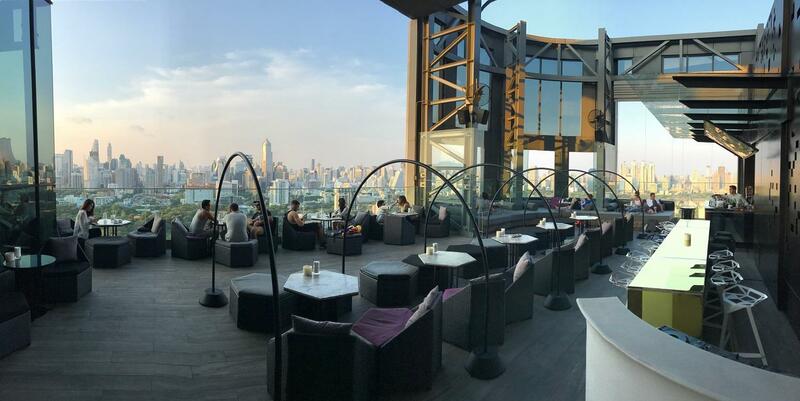 The rooftop opens at 5:00 PM. Book your seat in advance or make sure to come here in time to get one of the lounge sofas. 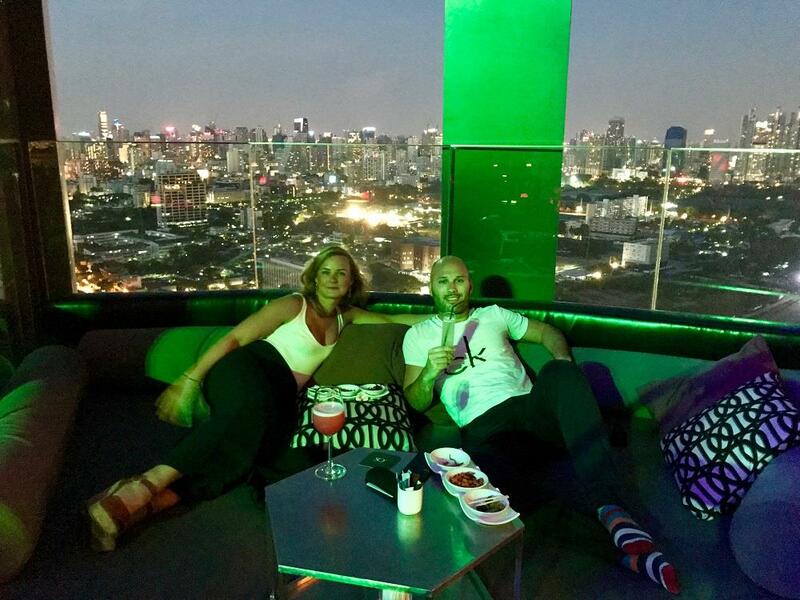 Then this is one of the best Bangkok rooftop bars. 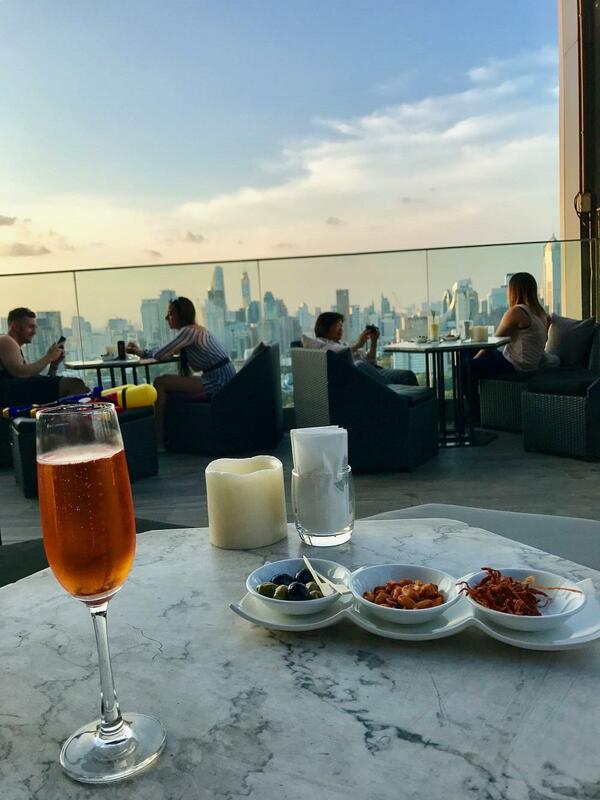 A very good thing about this rooftop is when you order your drinks, you’ll get some super tasty snacks to each cocktail. Dried pulled pork, olives and peanuts, that goes perfect to the drinks. 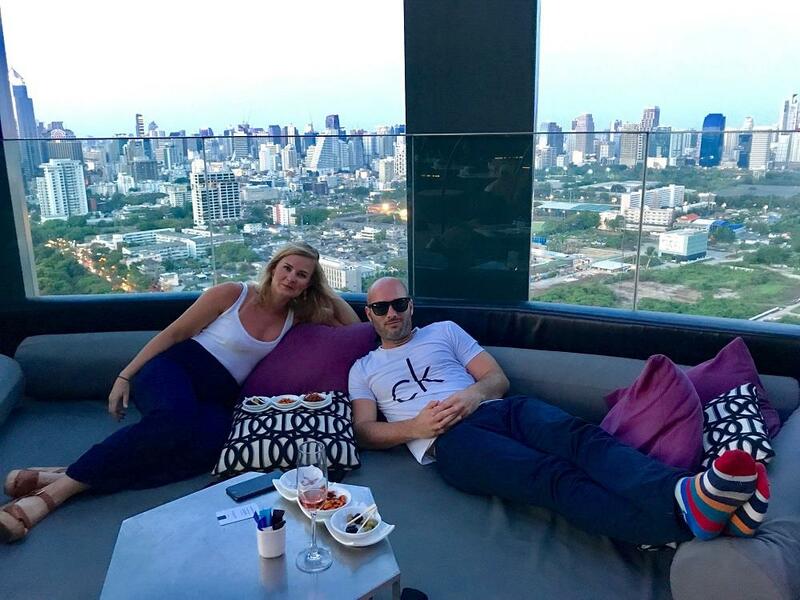 The lounge seats were amazing and felt like a big bed. 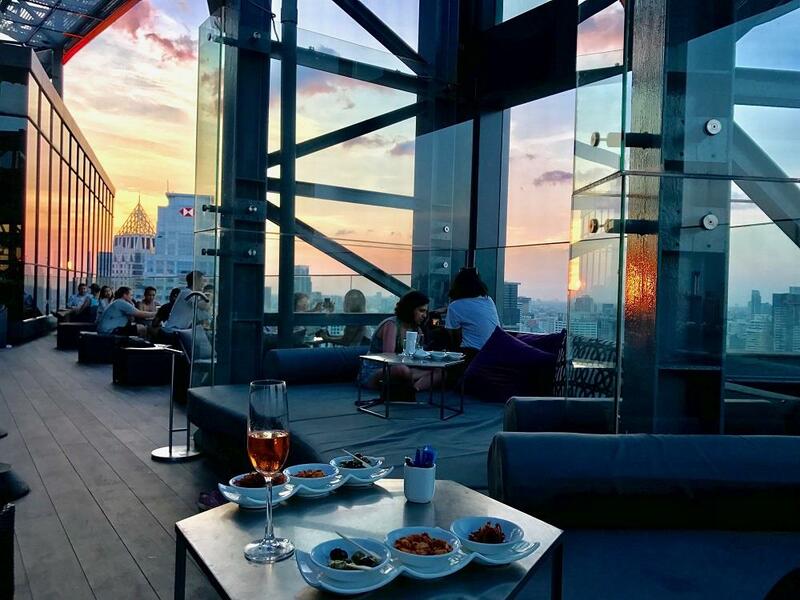 A nice place to enjoy drinks, snacks and majestic views from. Perfect if you’re 2-3 persons coming here. 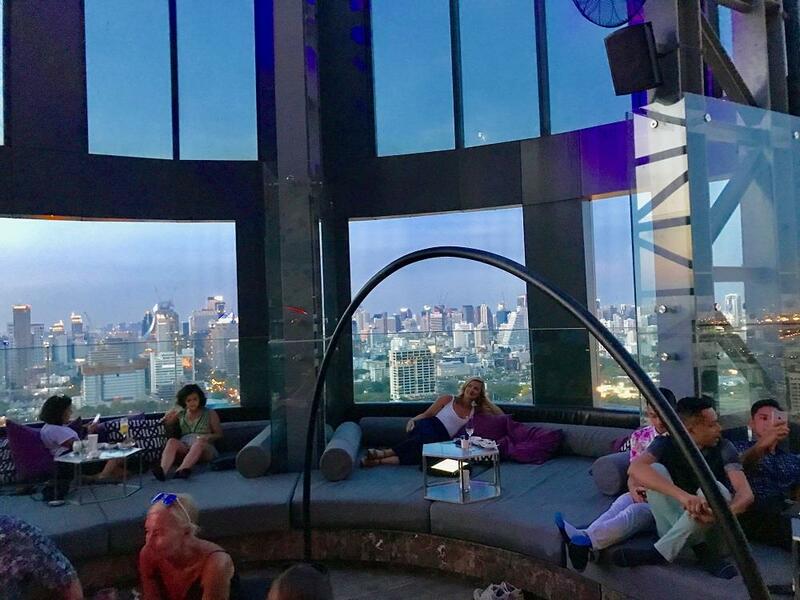 The atmosphere up here is quite party friendly with neon lights and a little bit higher music than some other more calmer rooftops in the city. 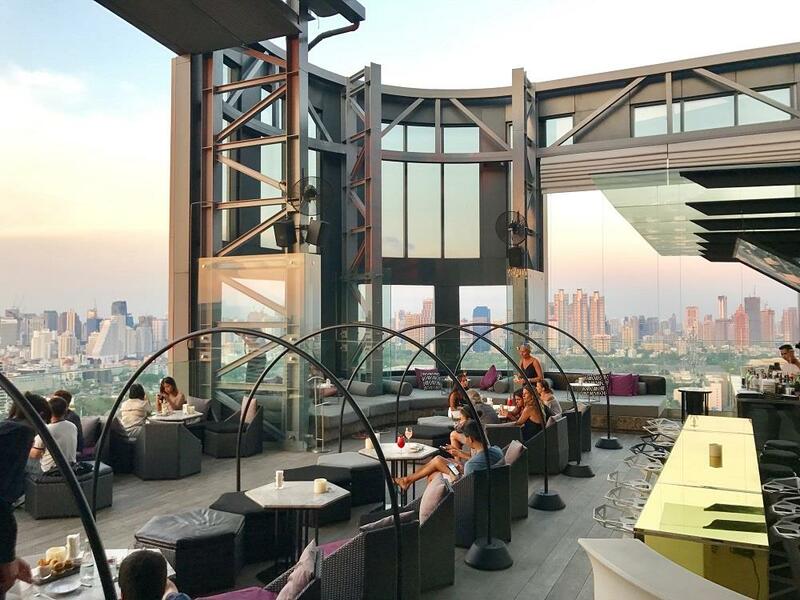 This rooftop bar is great for pre-dinner drinks or a night out with your friends. We liked this place very much. 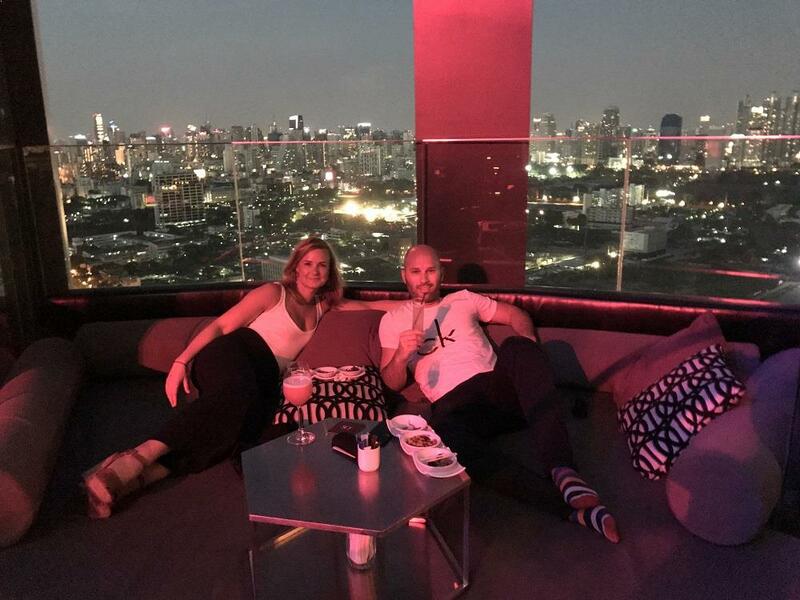 Mostly because of the fantastic lounge seats, but also for the great views surrounding the terrace. 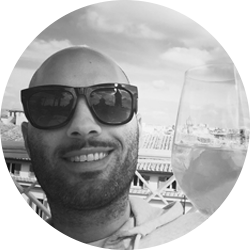 The prices on drinks is good and a lot cheaper than for example the drinks at Sirocco & Sky Bar. 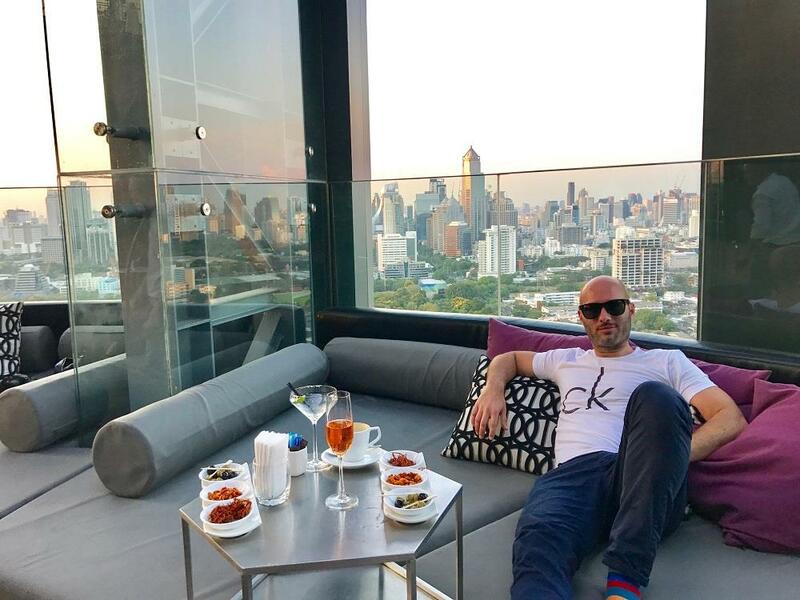 Here's some more info about Park Society Rooftop Bar.